MTG Kiddie-Kath Closed System Intermittent Catheter features soft, silicone, introducer tip that is designed to shield the catheter from contact with bacteria located within the first half-inch of the distal urethra. This easy to use catheter has EZ-Advancer valve for effortless catheterization, without retracting into the bag. It is pre-lubricated with controlled, unvarying quantity of lubricant and easy to empty. 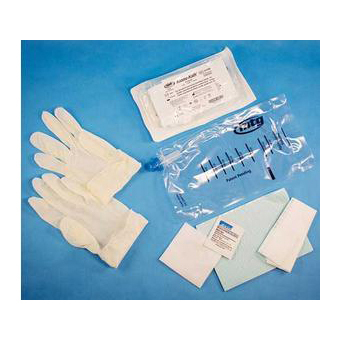 Kit contents Child length catheter, 700mL Collection bag, Underpad, Gloves, Gauze, BZK wipe, Fire-polished eyelets. 4" x 7" packaging is so compact.